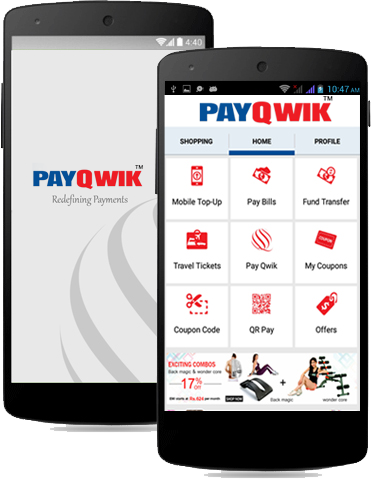 PayQwik Solution is a one stop mobile payment service and e-commerce website across India. It offers all the kinds of online mobile recharge on all mobile operators prepaid/postpaid connections. It offers quick mobile recharge, bus ticket, train ticket, air ticket booking, hotel booking, car rental all kinds of online transactions and recharge. Through PayQwik you can pay your bill payment, DTH recharge, online bill payments, Instant money transfer and online shopping in all over India. Now PayQwik is avail to download from your Google Play Store, it works very fast and provides very secure transactions. It offers coupons also, we provide coupon code to our customers to give them benefits. Any proof that it is actually paying? i have seen so many apps, they all are fake. so want to be sure before i start with this.